Porphyry of Tyre (/ˈpɔːrfɪri/; Greek: Πορφύριος, Porphýrios; Arabic: فرفوريوس‎, Furfūriyūs; c. 234 – c. 305 AD) was a Neoplatonic philosopher who was born in Tyre, in the Roman Empire. 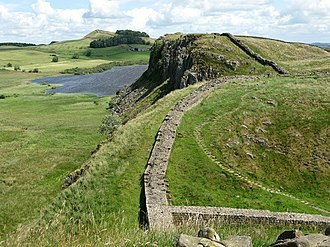 He edited and published the Enneads, the only collection of the work of his teacher Plotinus. 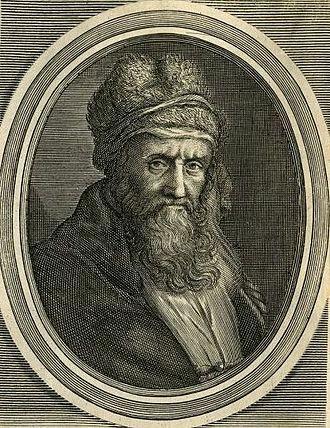 His commentary on Euclid's Elements was used as a source by Pappus of Alexandria. He also wrote many works himself on a wide variety of topics. 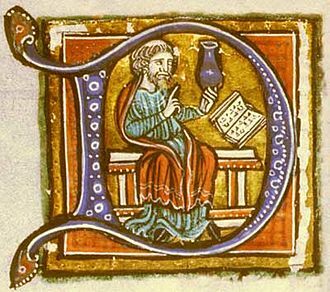 His Isagoge, or Introduction, is an introduction to logic and philosophy, and in the Latin and Arabic translations it was the standard textbook on logic throughout the Middle Ages. 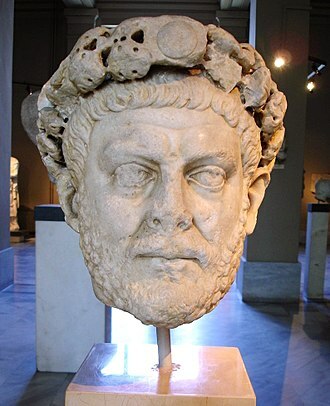 In addition, through several of his works, most notably Philosophy from Oracles and Against the Christians, which was banned by emperor Constantine the Great, he was involved in a controversy with a number of early Christians. 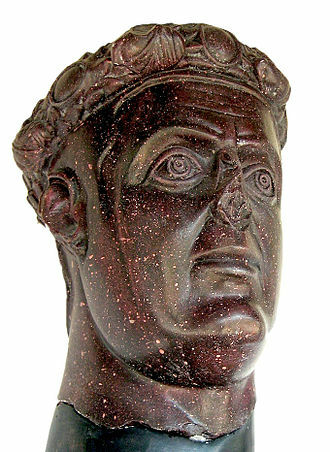 Porphyry was born in Tyre. 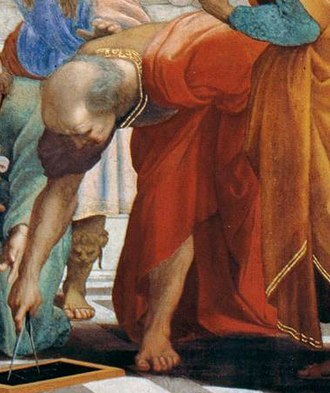 His parents named him Malchus ("king" in the Semitic languages) but his teacher in Athens, Cassius Longinus, gave him the name Porphyrius ("clad in purple"), possibly a reference to his Phoenician heritage, or a punning allusion to his name and the color of royal robes. 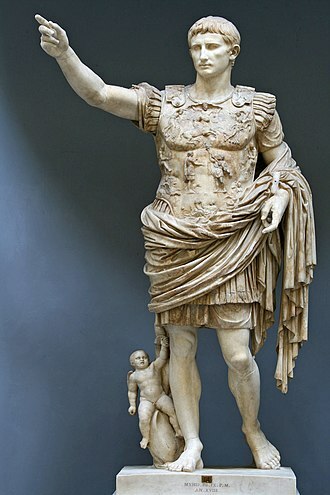 Under Longinus he studied grammar and rhetoric. Porphyry is best known for his contributions to philosophy. Apart from writing the Aids to the Study of the Intelligibles (Ἀφορμαὶ πρὸς τὰ νοητά; Sententiae Ad Intelligibilia Ducentes), a basic summary of Neoplatonism, he is especially appreciated for his Introduction to Categories (Introductio in Praedicamenta or Isagoge et in Aristotelis Categorias commentarium), a very short work often considered to be a commentary on Aristotle's Categories, hence the title. According to Barnes (2003), however, the correct title is simply Introduction (Εἰσαγωγή Isagoge), and the book is an introduction not to the Categories in particular, but to logic in general, comprising as it does the theories of predication, definition, and proof. The Introduction describes how qualities attributed to things may be classified, famously breaking down the philosophical concept of substance into the five components genus, species, difference, property, accident. 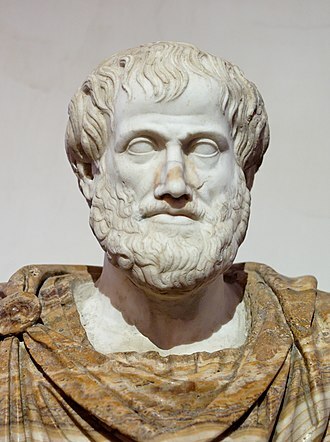 As Porphyry's most influential contribution to philosophy, the Introduction to Categories incorporated Aristotle's logic into Neoplatonism, in particular the doctrine of the categories of being interpreted in terms of entities (in later philosophy, "universal"). 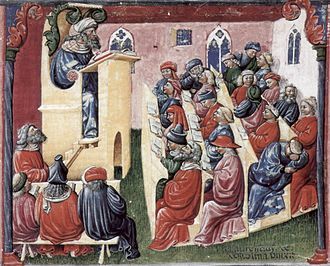 Boethius' Isagoge, a Latin translation of Porphyry's "Introduction", became a standard medieval textbook in European schools and universities, which set the stage for medieval philosophical-theological developments of logic and the problem of universals. 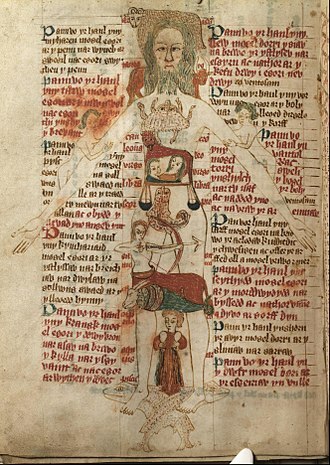 In medieval textbooks, the all-important Arbor porphyriana ("Porphyrian Tree") illustrates his logical classification of substance. To this day, taxonomy benefits from concepts in Porphyry's Tree, in classifying living organisms (see cladistics). The Introduction was translated into Arabic by Abd-Allāh Ibn al-Muqaffaʿ from a Syriac version. With the Arabicized name Isāghūjī (إيساغوجي) it long remained the standard introductory logic text in the Muslim world and influenced the study of theology, philosophy, grammar, and jurisprudence. 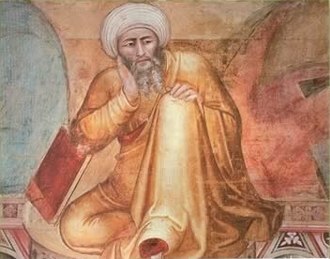 Besides the adaptations and epitomes of this work, many independent works on logic by Muslim philosophers have been entitled Isāghūjī. 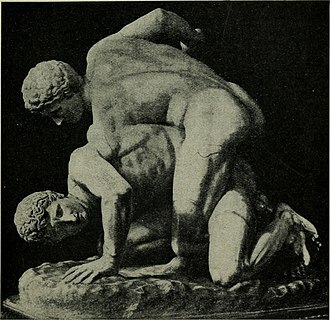 Porphyry's discussion of accident sparked a long-running debate on the application of accident and essence. 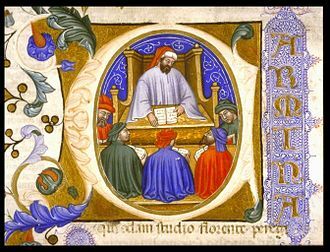 Whether or not Porphyry was the pagan philosopher opponent in Lactantius' Divine Institutes, written at the time of the persecutions, has long been discussed. The fragments of the Philosophy from Oracles are only quoted by Christians, especially Eusebius, Theodoret, Augustine, and John Philoponus. The fragments contain oracles identifying proper sacrificial procedure, the nature of astrological fate, and other topics relevant for Greek and Roman religion in the third century. 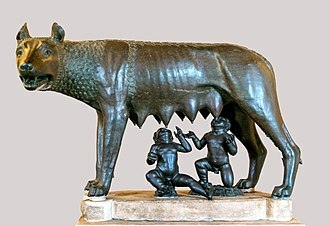 Whether this work contradicts his treatise defending vegetarianism, which also warned the philosopher to avoid animal sacrifice, is disputed among scholars. According to Jerome, Porphyry especially attacked the prophecy of Daniel because Jews and Christians pointed to the historical fulfillment of its prophecies as a decisive argument. But these prophecies, he maintained, were written not by Daniel but by some Jew who in the time of Antiochus Epiphanes (d. 164 BC) gathered up the traditions of Daniel's life and wrote a history of recent past events but in the future tense, falsely dating them back to Daniel's time. 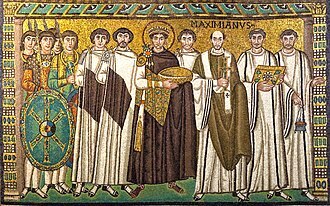 Porphyry devised his own interpretation where the third “prophetic kingdom” was Alexander, and assigned the Macedonian Ptolemies and Seleucids to the fourth kingdom. From among these he chose ten kings, making the eleventh to be Antiochus Epiphanes. In this way he threw his main strength against the book of Daniel, recognizing that if this pillar of faith be shaken, the whole structure of prophecy must tremble. If the writer was not Daniel, then he lied on a frightful scale, ascribing to God prophecies which were never uttered, and making claim of miracles that were never wrought. And if Daniel's authorship could be shown to be false, then Christ Himself would be proved to bear witness to an imposter. (Matt. 24: 15.) Porphyry's thesis was adopted by Edward Gibbon, the English deist Anthony Collins, and most Modernist scholars. Augustine and the 5th-century ecclesiastical historian Socrates of Constantinople, assert that Porphyry was once a Christian. Porphyry was opposed to the theurgy of his disciple Iamblichus. Much of Iamblichus' mysteries is dedicated to the defense of mystic theurgic divine possession against the critiques of Porphyry. French philosopher Pierre Hadot maintains that for Porphyry, spiritual exercises are an essential part of spiritual development. Porphyry also wrote widely on astrology, religion, philosophy, and musical theory. 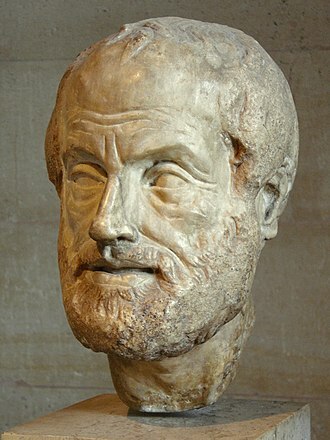 He produced a History of Philosophy (Philosophos historia) with vitae of philosophers that included a life of his teacher, Plotinus. His life of Plato from book iv exists only in quotes by Cyril of Alexandria. 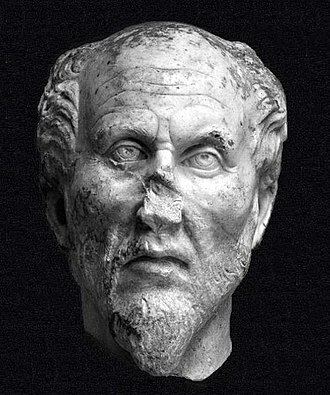 His book Vita Pythagorae on the life of Pythagoras is not to be confused with the book of the same name by Iamblichus. 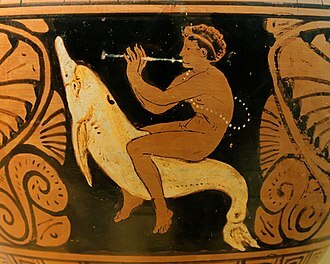 His commentary on Ptolemy's Harmonics (Eis ta Harmonika Ptolemaiou hypomnēma) is an important source for the history of ancient harmonic theory. 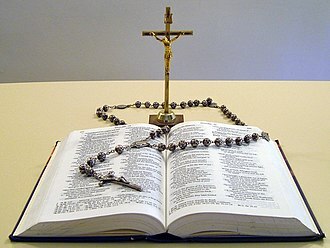 Contra Christianos – ed. : Adolf von Harnack, Porphyrius, "Gegen die Christen," 15 Bücher: Zeugnisse, Fragmente und Referate. Abhandlungen der königlich preussischen Akademie der Wissenschaften: Jahrgang 1916: philosoph.-hist. Klasse: Nr. 1 (Berlin: 1916); in English translation, Against the Christians. Porphyry's Letter to His Wife Marcella Concerning the Life of Philosophy and the Ascent to the Gods. Translated by Alice Zimmern (Grand Rapids, Michigan, 1989). ^ See O'Connor and Robertson, "Porphyry Malchus". ^ Gillian Clark (1983). 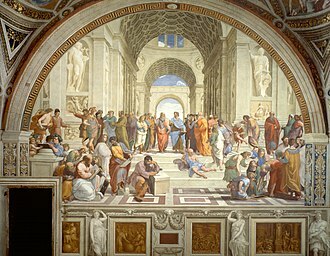 On the Pythagorean Life. ^ For connotations of West Semitic M-L-K, see Moloch and Malik; compare theophoric names like Abimelech. ^ Letter of Constantine proscribing the works of Porphyry and Arius, To the Bishops and People, in Socrates Scholasticus, Historia Ecclesiastica, i.9.30-31; Gelasius, Historia Ecclesiastica, II.36; translated in Stevenson, J., (Editor; Revised with additional documents by W. H. C. Frend), A New Eusebius, Documents illustrating the history of the Church to AD 337 (SPCK, 1987). ^ Froom 1950, p. 326. ^ Froom 1950, p. 327. ^ Froom 1950, p. 329. ^ Froom 1950, p. 330. ^ "Τοξόλυρος - Εἰς τὰ ἁρμονικὰ Πτολεμαίου ὑπόμνημα - φιλοσοφικό Ακαδημίας". Archived from the original on 2011-07-21. ^ Jonathan Barnes, Method and Metaphysics: Essays in Ancient Philosophy, Oxford University Press, 2001, pag. 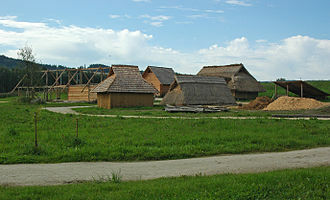 109, n. 22. ^ Braunsberg, David. 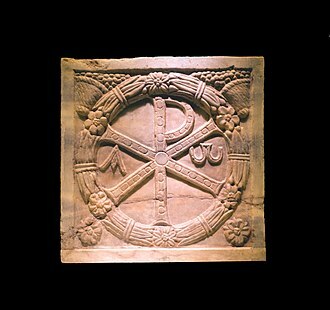 "Porphyry, Against the Christians". Early Church Fathers - Additional Texts. Retrieved 20 October 2017. Iamblichus: De mysteriis. Translated with an Introduction and Notes by Emma C. Clarke, John M. Dillon and Jackson P. Hershbell (Society of Biblical Literature; 2003) ISBN 1-58983-058-X. O'Connor, J. and E. Robertson, "Porphyry Malchus". Retrieved April 14, 2009. Porphyry Malchus (mathematician) - entry in MacTutor History of Maths Archives. Emilsson, Eyjólfur. "Porphyry". In Zalta, Edward N. Stanford Encyclopedia of Philosophy. .
Περὶ τοῦ ἐν Ὀδυσσείᾳ τῶν Νυμφῶν Ἄντρου (The Cave of the Nymphs in the Odyssey), original Greek text. Εἰσαγωγὴ εἰς τὴν Ἀποτελεσματικὴν τοῦ Πτολεμαίου (Introduction to Ptolemy's Tetrabiblos), original Greek text. Porphyry, On Abstinence from Animal Food, Book I, translated by Thomas Taylor. Porphyry, On Abstinence from Animal Food, Book II, translated by Thomas Taylor. Porphyry, On Abstinence from Animal Food, Book III, translated by Thomas Taylor. Porphyry, On Abstinence from Animal Food, Book IV, translated by Thomas Taylor. 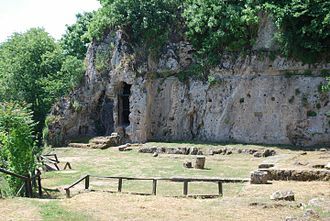 Porphyry, On the Cave of Nymphs, translated by Thomas Taylor. Porphyry, Auxiliaries to the Perception of Intelligible Natures, translated by Thomas Taylor. Porphyry, Isagoge, translated by Octavius Freire Owen. The Isagoge, or Introduction of Porphyry, translated by Thomas Taylor with an extensive preface by the translator. Porphyry, Comments on the Book of Daniel. 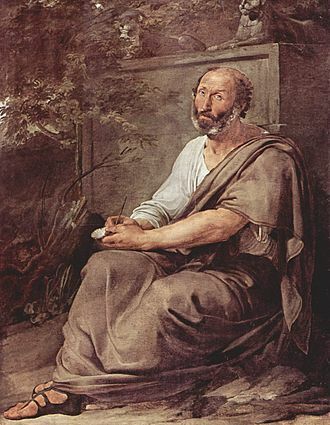 Pappus of Alexandria was one of the last great Alexandrian mathematicians of Antiquity, known for his Synagoge or Collection, and for Pappuss hexagon theorem in projective geometry. 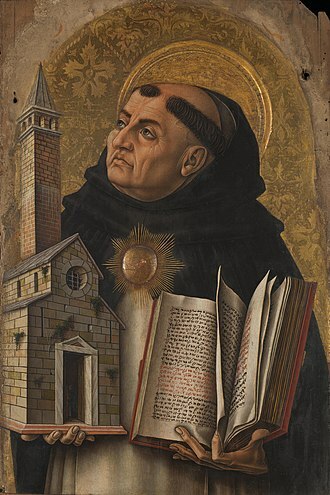 Nothing is known of his life, other than, that he had a son named Hermodorus, his best-known work, is a compendium of mathematics in eight volumes, the bulk of which survives. It covers a range of topics, including geometry, recreational mathematics, doubling the cube, polygons. Pappus flourished in the 4th century AD, in a period of general stagnation in mathematical studies, he stands out as a remarkable exception. 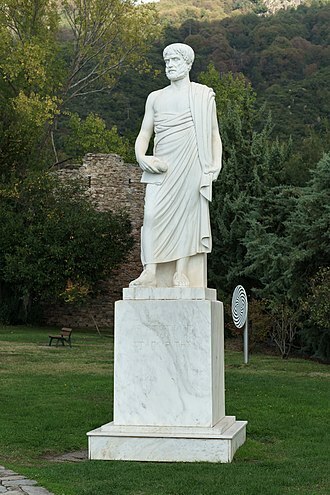 In this respect the fate of Pappus strikingly resembles that of Diophantus, in his surviving writings, Pappus gives no indication of the date of the authors whose works he makes use of, or of the time at which he himself wrote. If no other information were available, all that could be known would be that he was than Ptolemy, whom he quotes, and earlier than Proclus. 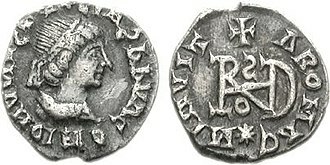 The Suda states that Pappus was of the age as Theon of Alexandria. 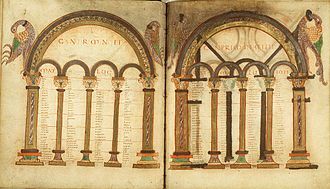 A different date is given by a note to a late 10th-century manuscript, which states, next to an entry on Emperor Diocletian. This works out as October 18,320 AD, and so Pappus must have flourished c.320 AD. 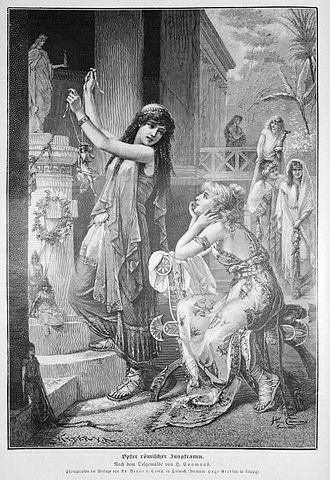 The great work of Pappus, in eight books and titled Synagoge or Collection, has not survived in complete form, the first book is lost, and the rest have suffered considerably. The Suda enumerates other works of Pappus, Χωρογραφία οἰκουμενική, commentary on the 4 books of Ptolemys Almagest, Ποταμοὺς τοὺς ἐν Λιβύῃ, Pappus himself mentions another commentary of his own on the Ἀνάλημμα of Diodorus of Alexandria. Pappus wrote commentaries on Euclids Elements, and on Ptolemys Ἁρμονικά and these discoveries form, in fact, a text upon which Pappus enlarges discursively. Heath considered the systematic introductions to the books as valuable, for they set forth clearly an outline of the contents. From these introductions one can judge of the style of Pappuss writing, heath found his characteristic exactness made his Collection a most admirable substitute for the texts of the many valuable treatises of earlier mathematicians of which time has deprived us. 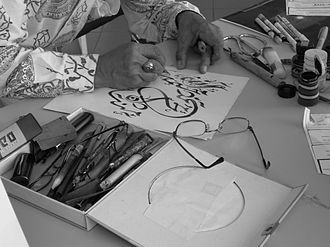 Iluminure from the Hunayn ibn-Ishaq al-'Ibadi manuscript of the Isagoge.